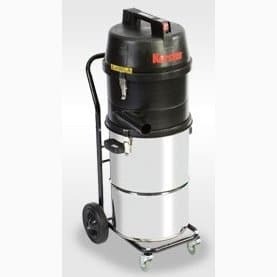 The Kerstar CSV 45/2 C is a portable unit designed to pick up metal chippings and swarf (but not spirals) from milling machines, lathes etc. Where most of the liquid (suds) has drained into a sump. 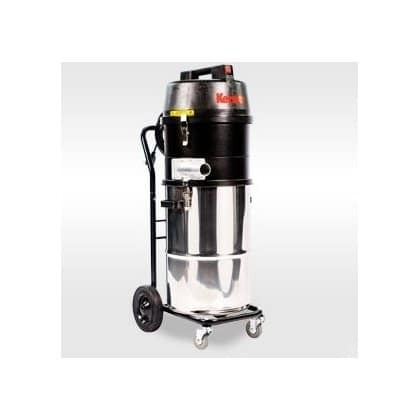 The motor unit is protected from the ingress of metal by a liquid resistant filter assembly. The filter assembly is protected from metal chippings by the cyclonic separator. The cyclonic separator directs the majority of the metal chippings downwards into the swarf basket in the canister. The swarf basket holds the metal chippings. When the basket is lifted out of the canister any liquid drains out through the perforations in the basket and into the canister. 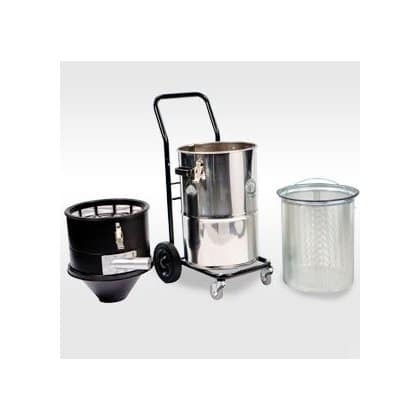 Liquid in the canister can be emptied by detaching the canister from the caddy trolley.